Automatic gates, whether swing or sliding models, are a welcomed and convenient addition to any home. But, they do come with a string of requirements – periodic maintenance and occasional parts repair/replacement. 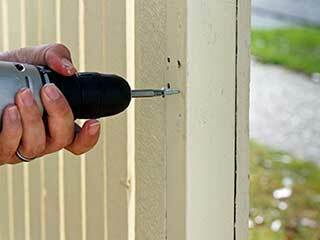 In order to ensure that your gate that you use almost on a daily basis is always in good condition, you need to address its issues right after they occur. Even a slight noise during the operation must be dealt with as soon as possible. Otherwise, it can lead to more damage. Here are few such common issues that automatic gates are prone to. The best thing about automatic gates is that you don’t have to get out of your car to open and close it every time. They work on infrared sensors and/or remote control, which senses and triggers the open/close operation. However, these sensors or their line of sight can be obstructed by insects and objects like leaves, twigs, and small rocks. Keeping the sensors area clean at all times is a great way to ensure smooth functioning, but if these objects find their way inside the gate components like the opener, you must seek the help of a professional. This is a rather common issue when it comes to driveway gates – you click the remote and nothing happens. In most cases, replacing the battery does the trick and you can resume using your gate. But, if there are problems with circuit or transmitter of the remote control, professional assistance may be required. There can be times when an opener does not open or close the gate completely or simply doesn’t work. Lack of proper power supply, overloading, or obstruction in the chain line are the main causes of opener issues, which must be immediately fixed. Our technicians are skilled and experienced to handle all types of automatic gates. If you are in the Darien area, give us a call and our team will take care of any problem as soon as possible.